Save time and money with prefab houses in Statesville, NC! Prefab houses in Statesville NC – Prefab houses are built and assembled at a different location than the future site of the home, and many offer unique details such as modern design elements or more environmentally-friendly options. There are builders around the country who offer prefab houses, and the process of moving them typically involves using steel beams to move sections around to various home building sites. One key benefit of using this type of construction is that you don’t have to worry about rain, snow, and other elements that often delay builders in certain climates. At 1st Choice Home Centers, we offer a variety of prefab house options for residents in and around Statesville, North Carolina. We focus on making sure your desires are met and that you move into a home you have dreamed about living in for years. We can also help design styles and floor plans that match your style and will fit nicely with your neighborhood. Our team even includes an on-site loan originator to provide assistance with financing. Contact us today to learn more about the advantages of prefab houses! 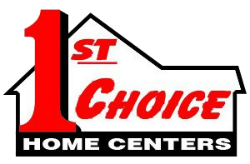 1st Choice Home Center offers quality prefab houses in Statesville, Troutman, Taylorsville, Mocksville, Maiden, Lincolnton, Conover, Newton, Union Grove, Hickory, Harmony, Mooresville, and surrounding areas of North Carolina.